Mount Aragats, the isolated four-peaked volcano massif is the highest point of the Lesser Caucasus and Armenia. 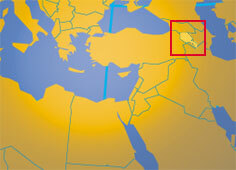 Destination Armenia, this page is about the landlocked country on the crossroad between Europe and Asia. The former Soviet republic is situated in southeastern Europe/western Asia, east of Turkey, north of Iran and south of the mountainous Caucasus region (Transcaucasia). It is also bordered by Azerbaijan and Georgia. With an area of 29,743 km² Armenia is just slightly smaller than Belgium, or slightly smaller than the U.S. state of Maryland. Armenia has a population of just 3 million people (in 2015). Capital and largest city is Yerevan. Here you will find comprehensive information about Armenia in its diversity: geography, economy, science, people, culture, environment, government and history. You will have access to newspapers from Armenia and you will find travel and tourism information. In 301, Armenia was the first state to formally adopt Christianity as its official state religion, twelve years before Rome. It also changed between various dynasties. But after Parthian (Iranian), Roman, Arab, Mongol and Persian occupation, Armenia had been substantially weakened. In 1454, the Ottoman Empire and Safavid Persia divided Armenia among themselves. Echmiadzin (seat of the patriarchate of the Armenian Apostolic Church). Type: Republic with a presidential governing system. Independence: (from Turkey, the then declining Ottoman Empire) 1918; First Armenian Republic . 21 September 1991 (from the Soviet Union). Location: Asia, in the southern Caucasus. Terrain: Rugged mountains and extinct volcanoes, one-third of the country is pastureland, forest and woodland cover 12 percent. Continetal, with lower temperatures and more precipitation in higher elevations. In central plateau temperature varies widely with cold winters and hot summers. Languages: Armenian (Hayeren) 96%, Russian, other. Natural resources: Small deposits of gold, copper, molybdenum, zinc, alumina. Agriculture products: Fruit (especially grapes), vegetables; livestock. Industries: Diamond-processing, metal-cutting machine tools, forging-pressing machines, electric motors, tires, knitted wear, hosiery, shoes, silk fabric, chemicals, trucks, instruments, microelectronics, jewelry manufacturing, software development, food processing, brandy. Armenia is a republic with a semi-presidential governing system. Head of state is the President. The president appoints the prime minister, who appoints the members of government. Legislative power is vested in both the government and the unicameral National Assembly (parliament). According to Freedom House and other sources, corruption, constitutional reform, and a troubled geopolitical environment continued to present challenges to Armenia. In Transparency International Corruption Perceptions Index 2015 where the least corrupt country ranks #1, Armenia is ranked #95 (out of 168) together with Mali, Mexico, and the Philippines. Official site of the President, head of state of Armenia. Official Government website of the Republic of Armenia. The National Assembly of Armenia online. Official site of Armenia's Ministry of Foreign Affairs, provides information on Armenia and its foreign relations. The Armenian Mission to the United Nations official website provides statements and other information that is relevant to Armenia's work at the United Nations. Embassy of Armenia in the US. List of Diplomatic Missions by country. Searchable map and satellite view of Armenia. Searchable map and satellite view of Armenia's capital city. Map of Central Asia and the Caucasus region. 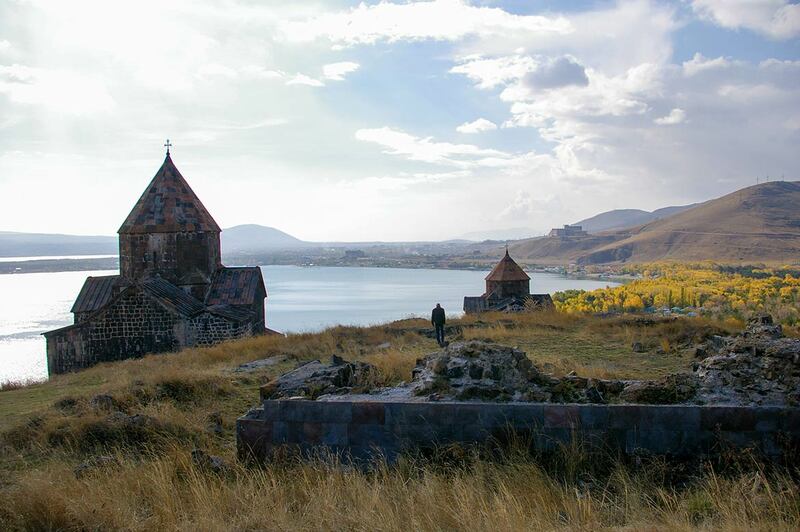 Sevanavank (monastry), located on the northwestern shore of Lake Sevan. ARKA News Agency provides financial, economic and political information. News from AZG an Armenian daily. The High-End-Segement of Armenian culture; books, music, videos and art. Official website of the bank which is based in Yerevan. A real Armenian brandy, founded in 1887, today with some support of Pernod Ricard. Armenia travel and tourism information by the Armenian Tourism Development Agency. Short overview of tourist attractions in Armenia by the Armenian US Embassy. A guide to Armenian Tourist Attractions by Cilicia, the largest Armenian Tourism and Travel web site. Armenia: One Nation, One Struggle. Informational site about Ecotourism in Armenia.by the Armenian Ecotourism. Association. Comprehensive travel and tourism guide to and about Armenia. The American University of Armenia (AUA) offers Master's level graduate programs. 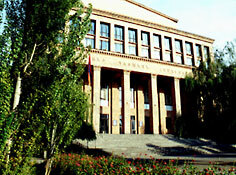 Official site of the formerly State University of Armenia, the most important institution of higer education in Armenia. Official site of the academy which is part of the Academical Scientific Network of Armenia. Information site on Climate Change and Environmental Projects of Armenia. Page about Armenia's rich history by the Armenian Ministry of Foreign Affairs. Brief overview about the history of Armenia. The official site of the NKR Ministry of Foreign Affairs. With news related to Nagorno-Karabakh region and Armenia. Center for Strategic Analysis with the main objectives of examination and analysis of the processes promoting the sustainable political and socioeconomic development of the Republic of Armenia and the region of the South Caucasus as a whole. Photojournalism from Armenia, Karabagh and the Caucasus; Onnik Krikorian is a journalist and photographer from the UK, now living and working in the Republic of Armenia. An Armenian portal and internet directory.